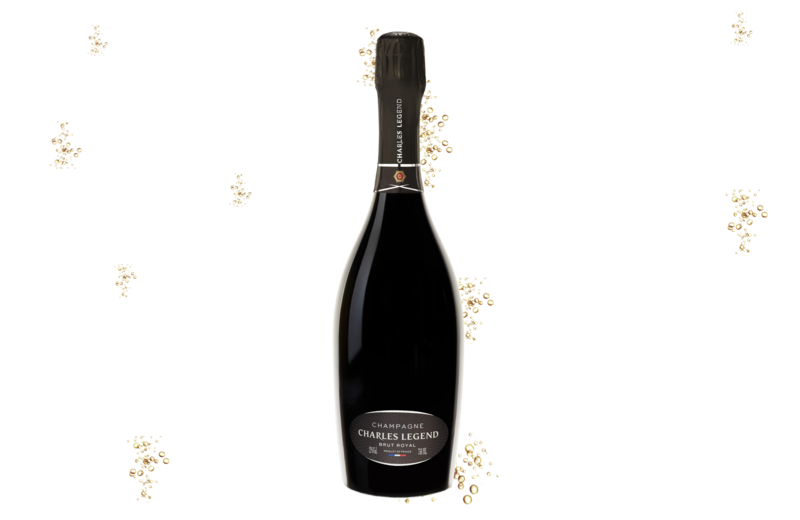 This brut champagne is the first label of the Charles Legend champagne house. The extended sun exposed grapes attributes to our champagnes a fruity and balanced taste but also the refinement of great champagnes. In the mouth, Brut Royal reveals a very pleasant pretty bold and classic pastry and buttery notes, statements in the finish by a lot of nervousness and a pleasant acidity. A subtle nose and exhale where light notes of citrus, nuts (hazelnut & almond) with a tangy and refreshing touch of green apple. This Brut in opulent style has a fine amber color.